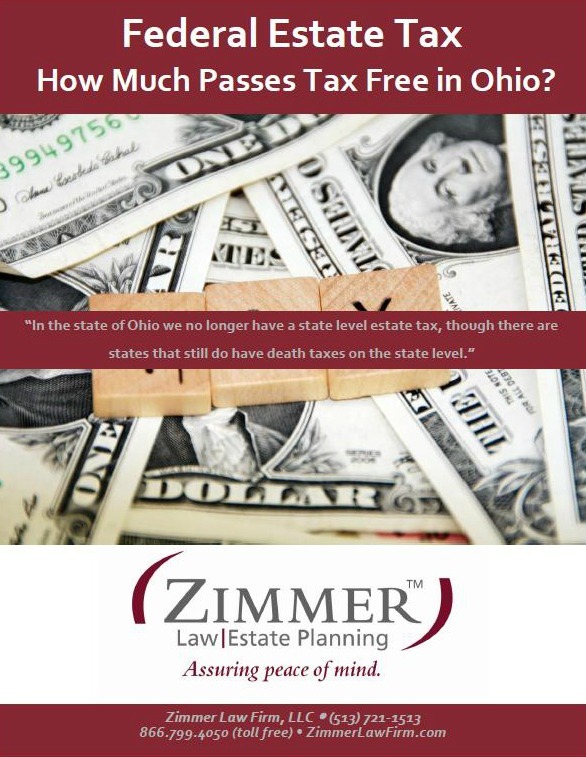 Free Report: Federal Estate Tax – How Much Passes Tax Free in Ohio? In the State of Ohio, we no longer have a state level estate tax, though there are States that still do have death taxes on the state level. You can transfer as much as $5.25 million to people other than your spouse free of transfer taxes. Any transfers that exceed this amount would potentially be subject to a 40 percent federal levy. There are legal techniques that can be utilized to keep your exposure to a minimum even if your assets exceed $5.25 million in value. The wise course of action is to discuss your options with a licensed estate planning attorney so that you can take the appropriate steps to preserve your wealth.